profit working with you to end the global water and sanitation crisis. Since 1977, we have served more than 2.5 million people in 40+ countries with life-saving clean water, sanitation, and hygiene. and bringing change that will last for generations to come. astounding turnaround and new hope for the future. Lasting Impact Your giving is making a difference in the lives of thousands of families and children in extreme poverty. Thank you! All financial and program information current as of 31 December 2018. Ministry partnership information is tracked internally and can only be shared discretely due to its sensitive nature. Data current at time of printing. 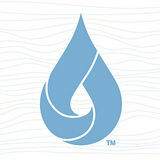 Visit lifewater.org/projects for an up-to-date list of projects needing funding. those who work the land. When they had the opportunity to have abundant, clean water, families worked side by side every day until the road was complete. piping led to the tap stands in their village. of their new water source. Together, they dug nearly two miles of road. When the truck came, they carried large rocks, concrete, and sand to the places— like the steep uphill spring—where no road could be built. The materials amounted to 8 tons of sand, 32 tons of SA FE WATER Community members gather joyfully around their new safe water source. Climb for Clean Water up Mt. Kilimanjaro. together, they served 16 villages. “Being in a village when they celebrate their new water supply is something otherworldly. The singing and the dancing.... the joy that comes from knowing that children are no longer going to be sick because of unsafe water,” Doug said. “You will know exactly the names and the faces of some of the people that your efforts are helping,” Doug said. 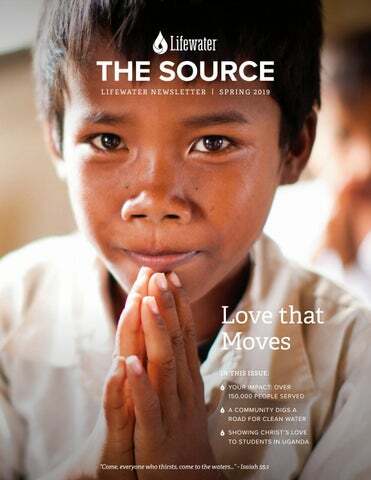 Please consider joining Doug on this next life-changing trip and give lasting, safe water to many in Cambodia. Programs, recalled this about Emma. scale water projects to the small actions and relationships in between. CHILDR EN IN UGA NDA Children are healthier now with clean water and hygiene. to make sure they weren’t missed.” At schools, clipping nails is advised for health because germs can be difficult for children to wash away from under their nails. But, many homes and schools don’t have nail clippers. A New Way to Serve a Child Each Month Become an Overflow partner. Just $50 gives clean water for life to a new person each month.